Geek entertainment has been saturated with repetitive themes of fantasy & sci-fi – ranging from laser-shooting aliens to axe-hacking goblins. Time travel is no exception and, although its less repetitive than most, it is a subject I fancy (as I mentioned in a previous article) and criticize due to its interlocking nature and mechanism to make the story logical, rational, and, above all, plausible. 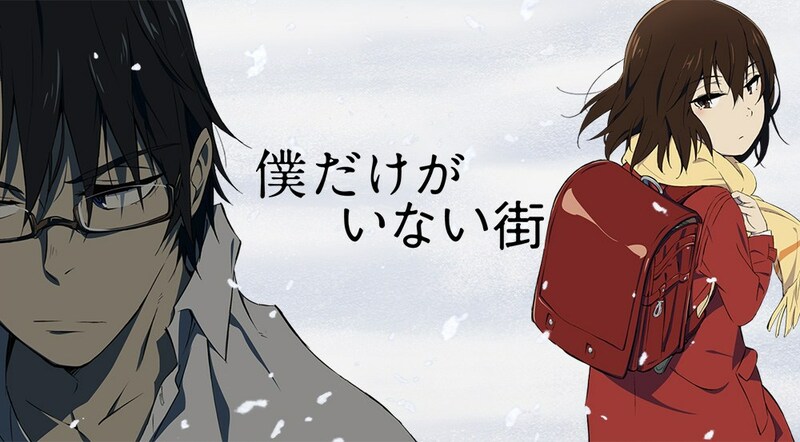 That being said, ERASED is a good example of minimal applied time travel in a thrilling dramatic psychological series that deals with heavy subjects such as bullying, depression, kidnapping, murder, and child abuse. 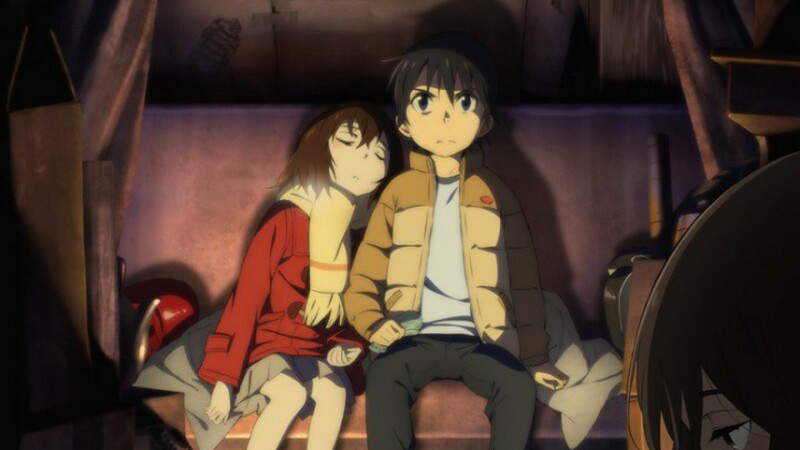 Boku Dake ga Inai Machi (literal translation – The Town Without Me) is an anime series better known as “ERASED” and is based on an ongoing Japanese fantasy thriller manga written and illustrated by Kei Sanbe. The anime debuted last January 8, 2016 as part of Japan’s winter anime season. Check out the trailer below. Here’s the general premise: The year is 2006. Satoru Fujinuma, a struggling comic writer/artist and fast food employee in his late 20’s, often finds himself in a precariously strange position… probably because of his random power to send his consciousness back in time whenever something bad is about to happen. He calls this ability “Revival”. He often succeeds preventing whatever catastrophe’s about to come although to his own personal detriment. That was until tragedy struck home and he found his own mother murdered. This trauma became the game changer for him. Even more so when his powers sends his consciousness 18 years back to 1988, his grade school days. He learns that the tragic events of that time is directly connected to his mother’s murder. Now, Satoru, as his 10 year-old self, arms himself with whatever future information and sets his sights on uncovering the mysteries behind these murders and stop them in order to prevent his mother’s death in 2006! Just hearing the premise alone personally sends chills down my spine and I’m excited to catch it! Watch it for yourself as well and tell us what you think! My Hero Academia is heading for the Big Screen next year!